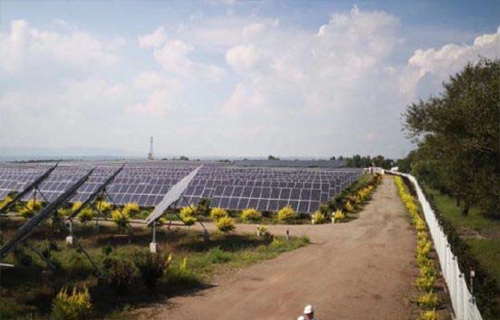 Since 2015, the PRC’s National Energy Administration has launched several "Photovoltaic Top Runner" power demonstration projects, an enhanced development for photovoltaic power generation in coal mining subsidence zones, in order to promote the development of China's photovoltaic manufacturing industry through commercialisation as well as boosting the overall photovoltaic industry. The city of Datong in Shanxi province was one of the first in a designated group of cities selected for this programme. Due to large-scale coal mining activities over an extended period of time, 1,687.8 square kilometers of coal mining subsidence zones have formed in the southern suburb of Datong, as well as the Xinrong district and Zuoyun county. As a result, residents in these areas were forced to move elsewhere. Coincidentally, these large mining subsidence areas also provide usable land, coupled with adequate lighting and electricital output capacity, that are ideally suited for the construction of large-scale photovoltaic power stations. At the same time, Datong, as a resourceexhausted city, has a desperate need to upgrade its energy generating capacity while pinning its hopes on the "Top Runner" plan to help spur urban transformation and development. China Power's Datong-Chenguang 100MW photovoltaic power project (referred to as "Datong Photovoltaic") is one of seven photovoltaic demonstration sites formally designated as a "Top Runner" project within the coal mining subsidence zone in Datong. The construction of Datong Photovoltaic began on 29 September 2015, and in June 2016, successfully came on line, becoming the first grid-connected electricity generation project among the 13 originally designated projects. The project development and its construction have earned three ’First-rankings’ overall, including: first-place in project quality excellence, first-place in incremental progress, and first-place in technical indicators’ benchmarking. In addition, Datong Photovoltaic’s photovoltaic module won the "Outstanding Innovation and Technology Application Award" and the "All Quality Matters" award. The project also secured two utility model patents, two provincial-level quality control (QC) achievement awards, and two provincial-level science and technology progress (Industry) awards. 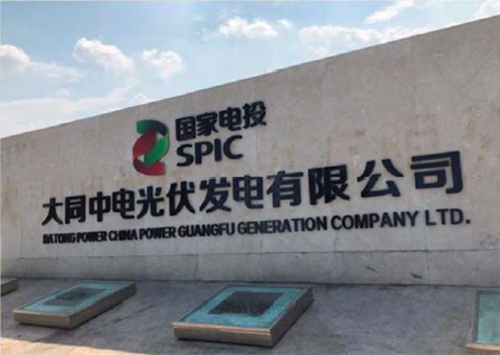 The project’s construction engineering itself won the "China Electric Power Quality Engineering" award. To achieve the three "first-rankings" required effort and perseverance in order to overcome obstacles and build an excellent quality project. That’s why every segment in the entire production chain must be able to pass all tests and inspections. China Power's site supervisors contact project construction companies via email every night in order to closely monitor the progress of the collaborative plants’ operations in terms of the photovoltaic modules and their daily production volumes as well as to ascertain that the respective modules were testified with positive power difference and zero crack tolerances. Every single photovoltaic cell has been carefully tested and inspected by China Power’s site supervisors As the modules are despatched to their respective project sites, a third-party inspection unit is recruited to conduct a preoperational sample testing and inspection. During the Datong Top Runner project inspections organised by the National Energy Administration, the actual measurement of project system efficiency reached as high as 84.53%. After the power facility was put into operation, the management team and related service staff of the China Power-Datong-Chenguang Project Department actively oversaw the safe and stable operation of the facility. Despite being away from home and working in a difficult environment, staff carried on with a spirit of "overcoming adversity" as they transformed a former coal mining subsidence area into a monumental new energy power base.